Capcom EMEA (Europe, Middle East, and Africa) marketing director Antoine Molant revealed that the publisher is setting a high bar for Resident Evil 7. "Ideally, we'd love to sell four million on day one globally," Molant said in an interview with MCV. "That would be great. Looking at what we see in the preorders and trends these days, we're pretty confident we are going to get there. All the signs that we have seen across the market, whether it's from the UK or from other territories, are very positive so far. We're not sitting back and relaxing at all because we want to push that. The confidence is there." GameSpot pulled up lifetime sales for Capcom's best-selling games and pointed out that the publisher has a steep, if not sheer hill to climb if it wants RE7 to hit those day-one numbers. Resident Evil 5 takes the cake at 7.1 million across Xbox 360, PS3, and downloads. Resident Evil 4, a fan-favorite entry along with RE2, has sold 5.9 million across numerous systems factoring in re-releases. Street Fighter II on SNES, published in June 1992, sits at number three with 6.3 million units sold—an astronomically high figure for that era, when most games were lucky to crack one million. Like RE4 in 2005, Resident Evil 7 will usher in a radical departure from the series' status quo: from static camera angles and tank controls, to over-the-shoulder shooting, to a first-person horror crawl reminiscent of Konami's P.T., a prototype of the now-cancelled Silent Hills. MCV asked Molant how RE7's pre-orders were shaping up. "To be frank, they're very good," he answered. Resident Evil 7 will release on January 24, 2017, for Xbox One, PS4, and PC. Sony locked down timed exclusivity for RE7's VR mode, which emeritus Shacknews editor Ozzie Mejia got to experience at PSX. 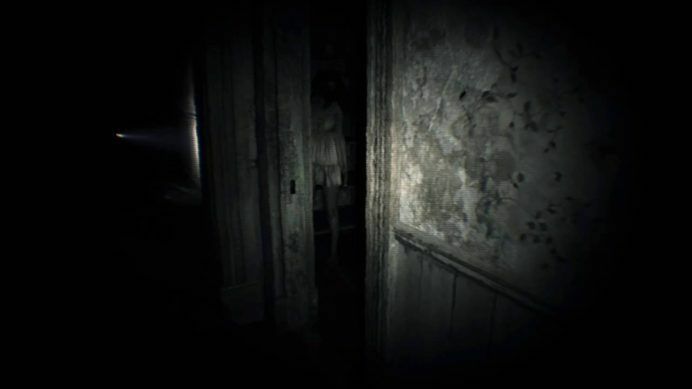 "While there will be some combat in the main game, it's important to note that Capcom is serious about the survival horror atmosphere for this installment of the series," he wrote in his hands-on preview. "Players won't step into the shoes of accomplished agents like Chris Redfield, but rather into the far more average shoes of a new character. This character won't be armed to the teeth, harkening back to the old days of scarce resources and learning to escape without killing everything in sight. It's more about surviving through logic and instinct than through sheer firepower." Unrealistic. I haven't paid attention to this game at all though so...why is this one getting so much press over the previous "just another RE game". 1) Capcom responded to abysmal reviews for RE6--and they were deserved--and pivoted, returning to survival-horror roots. 2) RE7 is filling a vacuum left by PT. 3) From what I've played so far, it's a great game. All that said, survival horror has never had mainstream appeal. People look back fondly at RE2, and purists like to point to it and say it's the best example of survival horror in the franchise. But RE2 started the series' trend of introducing more action. That's what hooked such a large audience, and RE4 outsold both RE2 and 3. I want this game to be great, but I hope Capcom isn't setting itself up for a fall. If it falls even slightly short of that 4m mark, investors will eat them alive, especially after the debacle that SF5 has been. It has the potential to reboot the franchise like RE4 did. Oh man. These companies have to really start tempering their expectations a little. I love RE, I've played RE7 and have enjoyed it, but four million in a single day? As I noted in the article, it took RE5, the best-selling entry in the series (far from my favorite, but hey) seven years to reach 5.9m. 4m in a day is a stretch, and that's putting it lightly. I hope I'm wrong. I want this game to be great. Is this the thread where we list what we want? Capcom did it, now it's your turn. I have no interest in VR. Is it going to be VR only? D -> K, that is a good question. Do you have a PS4? There's a demo out so you can try it, in VR or otherwise. A demo will be coming to PC and Xbox One soon. and i'm the next pope. Not happening. Even if RE7 is the series revival that we're all hoping for, they won't reap the benefits in terms of day-one sales until RE8. Unless they're going to dump as much into marketing as Square EA did for FF XV, there's just no way it'll have the recognition needed to garner those kind of release numbers. And I mean a LOT of marketing budget to get that done. I didn't like the demo because it has nothing to do with Resident Evil, character or mechanic wise other than the inventory. It seems a lot like Silent Hill: The Room. Feels like they only want to cash in on P.T. hype and VR. Theres lots of things I want too. Can I just have them? Well, I'll be buying it for PC. There have been 6 Resident Evils? No, a lot more actually. It's wild that all but two of those titles was released on at least one major console. Are they counting on us to make it happen? imo its the first PSVR killer app. I completely agree. RE7 appeals to me as a VR game not only because I've tried it and think it's fantastic, but because it's actually a video game instead of S tech demo. Capcom's expectations on its developers is, in its own way, a form of survival horror.